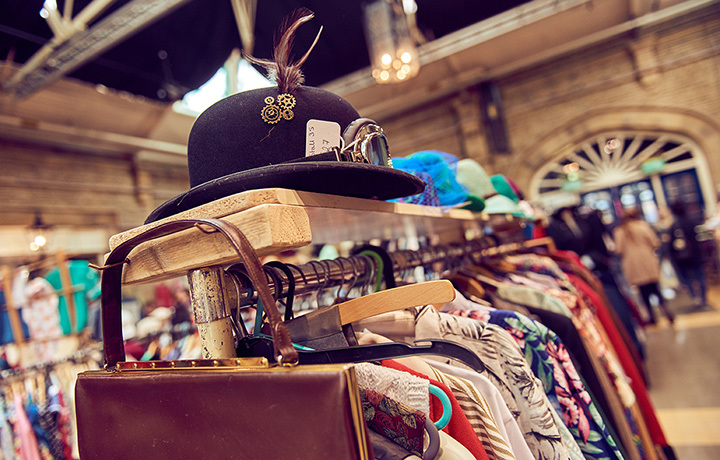 It doesn’t matter if you’re trying to decorate your new home on a budget or if you’re interested in getting rid of some old jewelry, consignment shops are the place to uncover vintage treasures and make some money. And California’s a consignment paradise. From enormous warehouses to specialty shops, there’s something for everyone. Here are the best consignment shops in the state! The Home Consignment Center is a two-family partnership that takes pride in offering great items at great prices. The business has grown from offering just furniture in its original Danville location to featuring other items, including fine jewelry at the 16 locations that can be found throughout California and beyond. Grant’s Resale takes pride in offering the personal service that a larger store can’t. The shop in American Canyon services the greater Bay Area and will help you consign your items to find them new homes as well as offers anything from appliances to clothing and Christmas ornaments. Consignment Classics has three large showrooms in the San Diego area that are filled with furniture and fine jewelry. Browse through acres of new and gently used furniture or find out how they can help you sell your own pieces. nice! Offers the ability to shop on your terms, like a VIP if you can’t make it to the store during usual business hours. It’s perfect for a shopping party and includes special touches like drink, small bites and personalized attention. Or opt to consign your designer duds and make a few bucks cleaning out your closet. Located in both Walnut Creek and Berkley, Labels Luxury specializes in luxury labels and small goods including handbags, shoes, scarves and other accessories. The carefully curated selection of goods sells for around 25 percent of the retail value, making it a perfect spot to shop if you love labels but don’t want to indulge in the high prices. The small family owned business includes a variety of high-end luxury goods from the likes of Chanel and Luis Vuitton. Specializing in handbags, accessories and jewelry, Article Consignment offers personalized attention whether you’re looking to sell or buy. Fans of Twice the Style rave that the consignment store offers the service of a personal shopper and stylist. With decades of experience in the consignment business, Twice the Style offers prompt payments and detailed accounting if you’re looking to sell and great quality and prices if you’re looking to buy. Kids outgrow things so fast that it can seem like a shame to buy new. Urban Kids is a consignment store helping parents and kids find exactly what they need at the best prices. Urban Kids can help you price your kids’ outgrown clothes and toys and also help you find just what you need for the tykes in your life. Flatter Me…Again! guarantees the authenticity of luxury designer items like Gucci handbags and Prada wallets as well as offers store credit or cash for any items that you consign. If you’re on the hunt for high quality designer duds, you can find great discounts on the brands that you see mostly in fashion magazines. World Plus Consignment has three large showrooms in Orange County and twenty years of experience in consignment. Whether you want to consign your furniture or pick out pieces for your own home, you’ll find a variety of styles and price points in every showroom.